Speaking in front of players and prominent stakeholders at the Philippine Softball Night held on April 17 at the Makati Sports Club, Amateur Softball Association of the Philippines (ASAPHIL) President and Philippine sports patron Jean Henri Lhuillier vowed to upgrade the current status of Philippine softball into a world-class association in four years and help the RP Blu Girls, the national women’s softball team of the country, to qualify in the 2020 Tokyo Olympics. “While softball is the highest ranked national teams among all ballgame team sport, it pales in comparison with others in terms of popularity and support. So our plans from this year onward are focused on promoting softball awareness in the country and in getting more players to the sport and more stakeholders to support it so that we will be able to produce a consistent supply of world-class players needed for international competitions,” Lhuillier said. With the outstanding performance of both the RP Blu Boys and Girls in various international competitions for the past years—dominating Southeast Asian Games competitions, being at the top four for both men’s and women’s in Asia and top 20 in the world—Lhuillier expressed that his optimistic view on the future and the potential of softball in the Philippines are not far-fetch to achieve. Moreover, re-affirming once again his full support for the RP Blu Girls’ campaign for the Tokyo Olympics in 2020, Lhuillier said the team has been undergoing continuous rigorous training and is scheduled to embark once again on various top-level competitions this year. “Last year, we had our RP Blu Girls compete in the World Cup and World Women’s Softball Championships. Although we failed to advance our world rankings, our women’s softball team is the country’s most consistent team performer in international competitions. Their participation was definitely a very helpful experience for our players and the whole coaching team. This year, we have higher hopes for the RP Blu Girls, and of course, ASAPHIL fully supports their campaign until they qualify and contend for a medal in the 2020 Tokyo Games,” Lhuillier said. 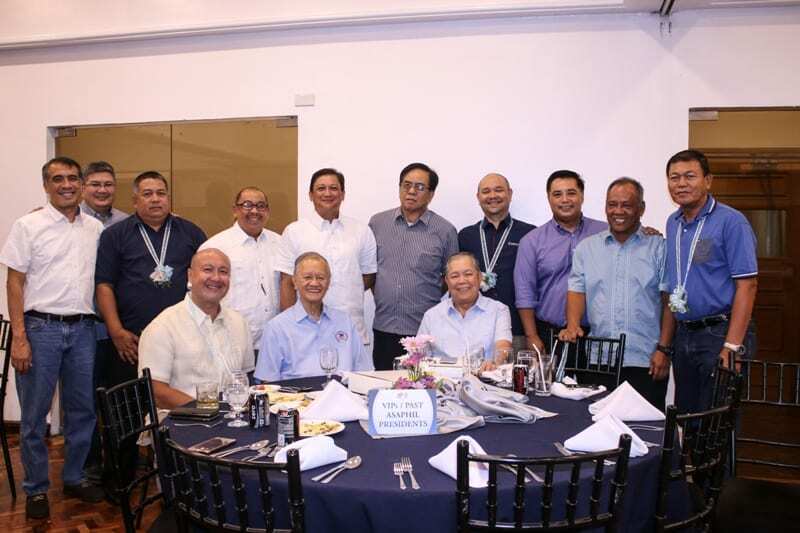 Also attended by Philippine Sorts Commission Chairman Butch Ramirez, Philippine Olympics Committee Chairman Peping Cojuangco, and ASAPHIL officers, the Philippine Softball Night also honored the men and women who have contributed to the development of Philippine Softball for the past years.